For ages 4-8 or anyone who wants to learn mindfulness and likes monkeys. Taught by Chopra Centre certified instructor Judy Reynolds, and her lovable puppet MonkeyMind, this course covers mindfulness practices such as meditation, breath work, yoga, and kinesthetics. PARENTS/GUARDIANS WELCOME TO ATTEND MONKEYMIND COURSE FOR FREE! 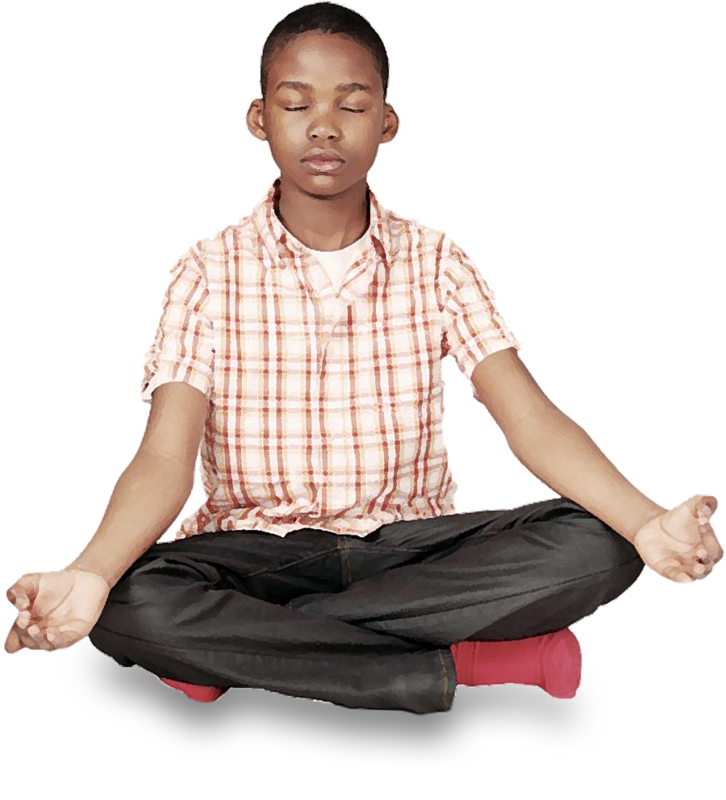 The teen class has a special emphasis on dealing with anxiety, and how to find true self worth independent of external, media-run approval. Courses cover mindfulness practices such as meditation, mantra and breath work (pranayama). We also learn tools to help us get off the hamster wheel and make more conscious choices. Intermediate/adult courses include some light physical energy work, such as kinesthetics and chakra clearing. Plus, we have so much fun in class! Get your free guided meditation when you sign up for our newsletter.